In these days of claim and counterclaim regarding human-caused global warming (or climate change, if you prefer) there are many things said about melting ice sheets and consequent sea level rise. So much, in fact, that at least part of the population is seriously concerned. At JunkScience.com we receive so many requests for estimates or verification that we are always on the lookout for useful resources to which we can direct readers. One item we came across, by engineer Jerome J Schmitt, laid out the calculations for people to see for themselves how much heat is required to melt icecaps and really served as the inspiration for the following calculator. So, with a large tip of the hat to Jerome J Schmitt here is a simple form-based calculator you can use to see for yourself what kind of sea level rises could reasonably be anticipated and what it would take to achieve them. We'll present the form in a couple of formats so you can derive the numbers you seek with a minimum of effort. We will also explore a corollary arising as we go along. Some of our basis numbers will be varied slightly from those used by Schmitt. Don't worry, these are in the background of the calculator and you are not expected to use them for "back of an envelope" calculations. We provide them only so those that are sufficiently interested can perform check calculations to verify the calculator and everyone can check the underlying assumptions (most available from a wide selection of reference works, links to a sampling of same available in Schmitt's article linked above). Using 5.137 x 1018 kg as the mass of the atmosphere (from Trenberth, 1981 JGR 86:5238-46). Specific heat capacity of air (cp) for temperatures -50 °C to 40 °C = 1.005 kJ/kg.K (for these calculations K and °C are equivalent and the temperature range adequate for the vast bulk of the atmosphere). From the above two figures, heat required to raise temperature of atmosphere 1 °C = 5.137 x 1018 x 1.005 = 5.162685 x 1018 kJ. 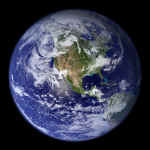 Earth's surface area (approximately) 5.1 x 108 km2 (converted to meters squared) x 106 = 5.1 x 1014 m2. About 70.8% of Earth's surface is covered by water, of which a couple percent are fresh water so, about 69% seas and oceans = 3.519 x 1014 m2. For the purposes of these calculations continents are considered sheer-sided (no ocean area expansion is included as height is increased and thus all rises calculated are necessarily greater than can actually occur in the real world). The Greenland, East and West Antarctic Ice Shields total 3.45% of Earth's surface with a combined surface area of about 1.524 x 107 km2. 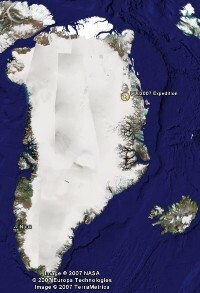 Although central Greenland temperatures are approximately -30 °C and central Antarctica -50 °C no consideration is given to that thermal deficit and heat calculations made on the basis of conversion of ice to water at 0 °C. 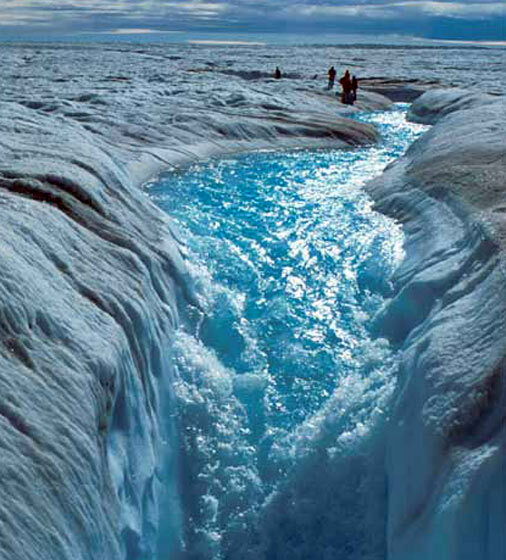 The density of water and ice is 1,000kg/m3 (actually ice is less dense, which is why it floats but calculations are performed on the basis of energy required to produce a given amount of melt water). Latent heat of melting for water is 3.34 x 102 kJ/kg. Ice water does not change temperature with heat transfer until all ice is melted (or water frozen) and so no thermal expansion or contraction allowance is made when calculating sea levels. While the input to our form is atmospheric heating, obviously energy that heats the atmosphere is unavailable to melt ice unless the atmosphere cools with the energy transfer. For this reason we have a field where you can select what proportion of energy should be devoted to ice melt. If you do not choose to specify then a simple Earth's surface ice shield proportion of 3.45% will be used by default and the atmospheric temperature will decline if displayed. If you choose 0% for maximum atmospheric temperature transfer then naturally no ice melt calculation will occur so the default 3.45% will again be used. Forms limit the percentage atmospheric heat transferred to ice melt to a maximum 50% (~15 times the actual surface area and a ridiculously high transfer rate). The Holocene (the current interglacial period) began warming approximately 12,000 years ago and yet substantial ice caps remain (it takes a long time to transfer sufficient heat to melt that much ice). At least 6 °C over 12,000 years has not been sufficient to eliminate the ice caps despite the fact the sun has been replenishing the number of kJ available to melt ice throughout that period. The atmosphere is huge despite the silly claims about our "fragile envelope" and the atmosphere has a huge heat capacity. It takes enormous sustained inputs over time to alter its temperature (the IPCC estimate for atmospheric temperature change 1850-2000 is 0.4-0.8 °C). Moreover, we have taken no account of the huge thermal deficit that exists because the average temperature of the ice caps is not 0 °C but significantly lower (minus 15 and below would be a good average) while only relatively trivial peripheral regions are near melting point. Thus we are dramatically overestimating potential sea level rise from ice melt. Further, we have ignored lapse rate. If you don't know what that is you needn't worry about it but it is easy to look up and we like to think you'll do so. In a nutshell the lapse rate is the fall in temperature of approximately 6.49 °C/1000m [3.56 °F/1,000'] with altitude up to 11,000m [36,000']. From 11,000m [36,000'] up to 20,000m [65,000'], the constant temperature is -56.5 °C [-69.7 °F]. The significance of this being that Antarctica has a mean elevation of almost 2,500m, so is about 16 °C cooler than the surface at sea level to begin with while Greenland, too, has significant elevations. For the purposes of this simple calculator 'the atmosphere' and 'heat' are treated as uniform discrete entities. Finally, we ignore energy that would necessarily be devoted to melting sea ice as this has no bearing on sea levels since floating ice has already displaced all the sea water it is going to in solid or liquid form. 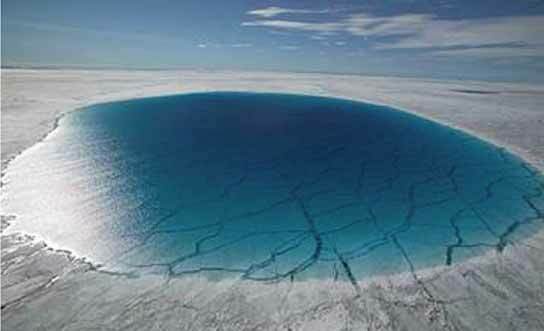 All melt is assumed to be land-borne ice capable of raising sea levels. On that basis then, knock yourselves out trying to drown the planet with as much warming as you care to apply (we might suggest, however, that you try the IPCC's roughly 1.5 - 6.0 °C range first). atmospheric temperatures were raised by °C and % of that 'extra' heat was transferred to ice melt? 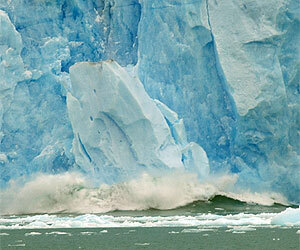 raise sea level meters and % of that 'extra' heat was transferred to ice melt? Copyright © 2008 JunkScience.com - All Rights Reserved.